Mc Donald’s held a press conference to announce some things about their menu and the way they operate. Here’s the lowdown, fries lovers. Without beating around the bush, they made some important announcements. They are launching their first ‘Experience of the Future’ restaurant (EOTF) at CR2 Mall in Nariman Point. The restaurant will give the option to choose between self-order kiosks or counter service, assist with finding seats, and provide table delivery service. Say what? Once your order has been placed, you can take a seat while you wait for order, guided by a Radio frequency identification device (RFID), it will come right to your table. 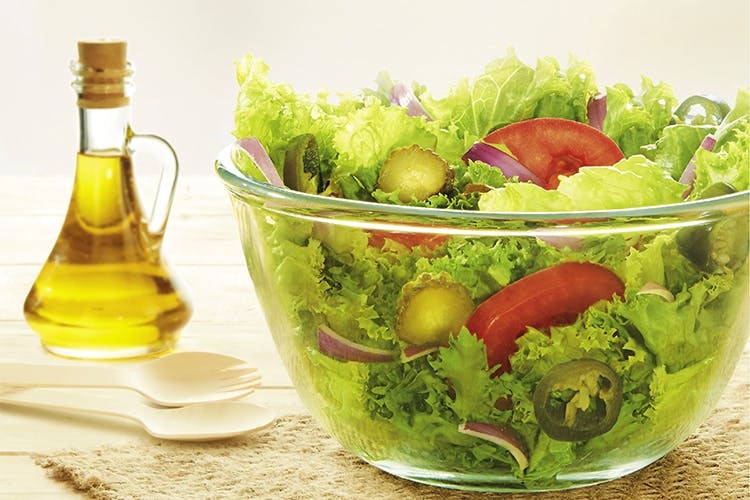 Never though you’ll eat a salad at Mc Donald’s? It’s happening, guys.By launching farm fresh salads and transitioning its existing wraps into whole grain wraps, they might make it to our fitness section and we’re kind of gasping for breath here. Also, you’ll have the choice to opt for milk based beverages (chocolate milk, smoothies or shakes) with their Happy Meals or simply replace your fries with a bowl of salad. We dare you. Looks like Mc Donald’s made a fitness resolution this year and plans to stick to it. Now, we’ll go and try out that salad, because we like to challenge ourselves.